“THUNDER…BANG” an explosion of sounds: introducing Waldorf & Cannon! Visually what you would imagine is a group of musicians, say maybe 5 or 6 at least? But the member count of this act is in fact 2, which is incredibly impressive considering the multilayered soundscape produced. 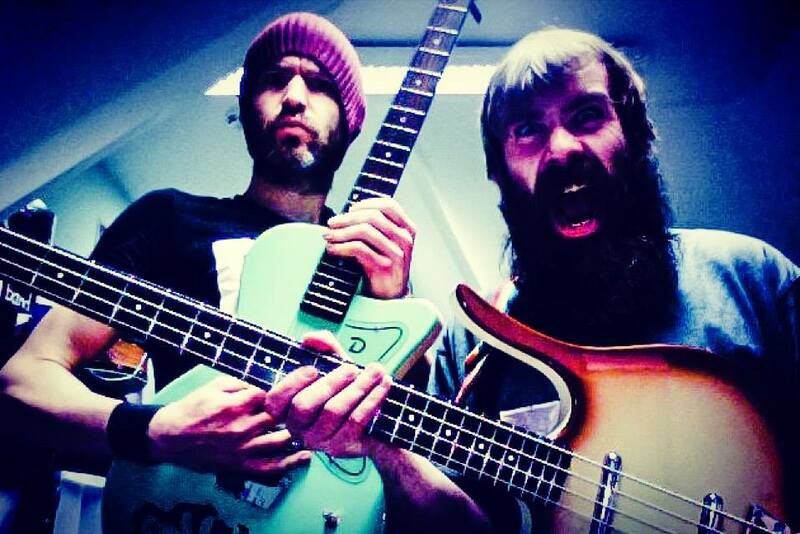 This duo are Derry/Donegal based multi-instrumentalists Philip Wallace (Waldorf) and Oisin Cannon (Cannon). While both musicians share the vocal line, Waldorf plays a farmer foot drum kit, guitar and harmonica, and Cannon plays the bass. Debut album Old Dogs New Tricks was released last year, and is a collection of 10 tracks full of catchy hooks, grungy vocals, a sprinkle of psychedelia, experimentation and alt rock chaos – fun stuff! With influences such as Beck,Nirvanaand Pixies, groovy yet gritty guitar riffs and driving rhythms are king, while lyrically they can touch on protesting about what’s going on in the world today (‘Rise Up’), to letting yourself go and setting yourself on fire (‘Omit The Logic’); metaphorically speaking of course.